A selection of black and white Wall Plate Inserts (often referred to as Mechs), designed to suit Clipsal style wall plates. These inserts make building your own custom wall plate a simple and easy task. Choose from F Type (used for Foxtel and other cable TV installations), PAL (commonly used for TV), RCA, Banana Sockets (speaker), HDMI connectors and more. Looking for matching Wall Plates? Please visit our Custom Wall Plates category. 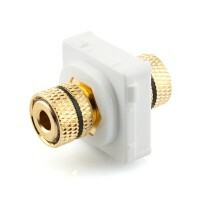 This F-Type to F-Type Connector Insert is ideal to connect your HD TV antenna or Foxtel cabling to your custom wall plate design. This high quality insert supports bandwidth up to 3GHz. Designed to suit our custom wall plates or Clipsal style wall plates. 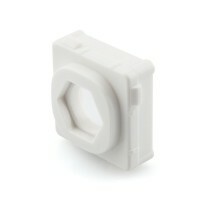 This PAL to F-Type Connector Insert provides an easy to use modular solution. Create your own custom designed wall plates with ease. 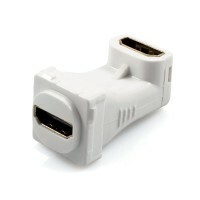 A PAL connector is suitable for most TV connections within Australia. Designed to suit our custom wall plates or Clipsal style wall plates. 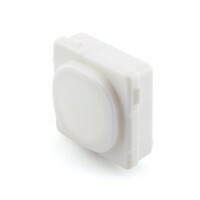 This BNC to BNC Insert is ideal for security system installations. 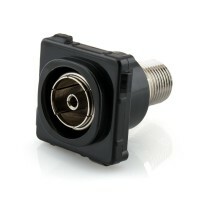 The BNC connector provides a solid connection while the unique twist lock design allows quick disconnection when required. Designed to suit our custom wall plates or Clipsal style wall plates. This Red Banana Socket Insert allows you to create the exact configuration you require for your home theatre or audio system. Precision manufactured with 24k gold plated connectors. Designed to suit our custom wall plates or Clipsal style wall plates. This Black Banana Socket Insert allows you to create the exact configuration you require for your home theatre or audio system. Precision manufactured with 24k gold plated connectors. Designed to suit our custom wall plates or Clipsal style wall plates. 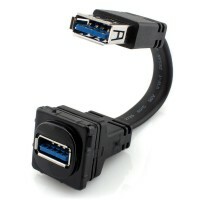 This HDMI Insert (straight connector on rear) provides a solution to connect your High Definition devices through wall cavities or the roof. 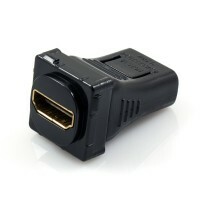 Supports all HDMI features, including 1080p, 3D, 4K, ARC and HEC etc. Designed to suit our custom wall plates or Clipsal style wall plates. 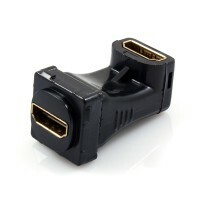 Complete your installation with this HDMI Insert (right angle connector on rear). This quality insert will ensure the best possible connection. The right angle connector is ideal when space restrictions are present. Designed to suit our custom wall plates or Clipsal style wall plates. 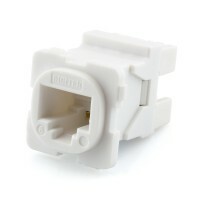 This Cat6 RJ45 Insert offers a convenient way to manage your network connection. Select from the selection of available mech inserts available to create the perfect Custom Wall Plate. Designed to suit our custom wall plates or Clipsal style wall plates. 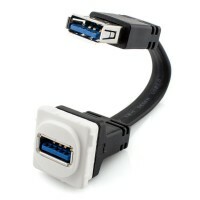 This USB insert provides the perfect solution to conveniently route your data cabling. 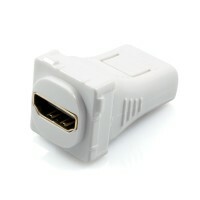 Compliant with the USB 3.0 specification and is also backwards compatible with USB 2.0, 1.1 and 1.0. Designed to suit our custom wall plates or Clipsal style wall plates. This Black RCA to RCA Insert is designed to the highest quality standard and will provide a perfect connection. A range of colours available to suit a range of video or audio system requirements. Designed to suit our custom wall plates or Clipsal style wall plates. This White RCA to RCA Insert is designed to the highest quality standard and will provide a perfect connection. A range of colours available to suit a range of video or audio system requirements. Designed to suit our custom wall plates or Clipsal style wall plates. This Red RCA to RCA Insert is designed to the highest quality standard and will provide a perfect connection. A range of colours available to suit a range of video or audio system requirements. Designed to suit our custom wall plates or Clipsal style wall plates. 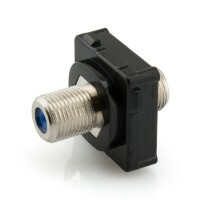 This Blue RCA to RCA Insert is designed to the highest quality standard and will provide a perfect connection. A range of colours available to suit a range of video or audio system requirements. Designed to suit our custom wall plates or Clipsal style wall plates. This Green RCA to RCA Insert is designed to the highest quality standard and will provide a perfect connection. A range of colours available to suit a range of video or audio system requirements. Designed to suit our custom wall plates or Clipsal style wall plates. This Yellow RCA to RCA Insert is designed to the highest quality standard and will provide a perfect connection. A range of colours available to suit a range of video or audio system requirements. Designed to suit our custom wall plates or Clipsal style wall plates. This Orange RCA to RCA Insert is designed to the highest quality standard and will provide a perfect connection. A range of colours available to suit a range of video or audio system requirements. Designed to suit our custom wall plates or Clipsal style wall plates. This Black RCA to F-Type Connector Insert provides a versatile solution to your custom wall plate requirements. 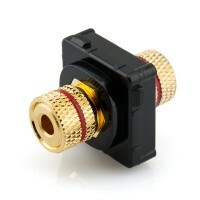 Available in a range of colours to suit a variety of audio and video applications. Designed to suit our custom wall plates or Clipsal style wall plates. This White RCA to F-Type Connector Insert provides a versatile solution to your custom wall plate requirements. Available in a range of colours to suit a variety of audio and video applications. Designed to suit our custom wall plates or Clipsal style wall plates. 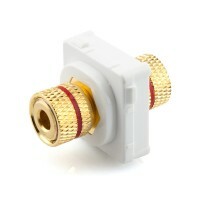 This Red RCA to F-Type Connector Insert provides a versatile solution to your custom wall plate requirements. 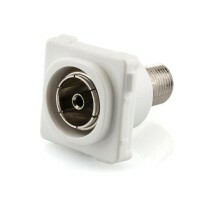 Available in a range of colours to suit a variety of audio and video applications. Designed to suit our custom wall plates or Clipsal style wall plates. 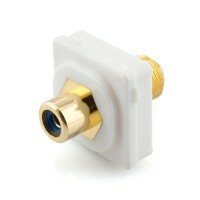 This Blue RCA to F-Type Connector Insert provides a versatile solution to your custom wall plate requirements. 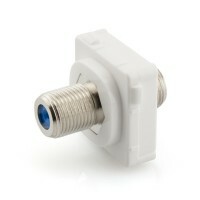 Available in a range of colours to suit a variety of audio and video applications. Designed to suit our custom wall plates or Clipsal style wall plates. This Green RCA to F-Type Connector Insert provides a versatile solution to your custom wall plate requirements. 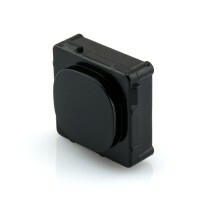 Available in a range of colours to suit a variety of audio and video applications. Designed to suit our custom wall plates or Clipsal style wall plates. This Yellow RCA to F-Type Connector Insert provides a versatile solution to your custom wall plate requirements. Available in a range of colours to suit a variety of audio and video applications. Designed to suit our custom wall plates or Clipsal style wall plates. This Orange RCA to F-Type Connector Insert provides a versatile solution to your custom wall plate requirements. 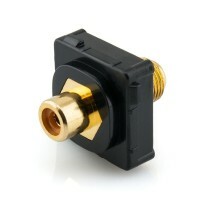 Available in a range of colours to suit a variety of audio and video applications. Designed to suit our custom wall plates or Clipsal style wall plates. This Blank Insert can be used as a place holder to fill in a space which may be used at a later stage. Select from a range of inserts available to easily create the exact configuration required for your setup. Designed to suit our custom wall plates or Clipsal style wall plates. This Blank with Hole Insert provides even greater combination potential to the range of available custom wall plates and inserts. 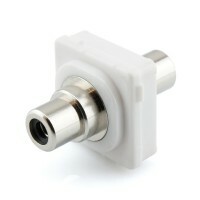 The hex design accommodates a range of connector types. Designed to suit our custom wall plates or Clipsal style wall plates.